Visual Studio Code>Linters>JS "Standard" LinterNew to Visual Studio Code? Get it now. 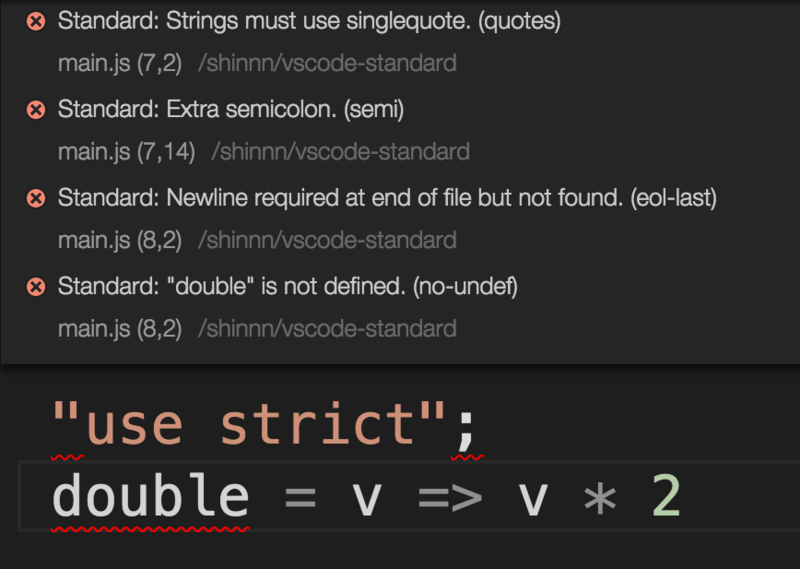 Enable the linter in the VS Code settings.